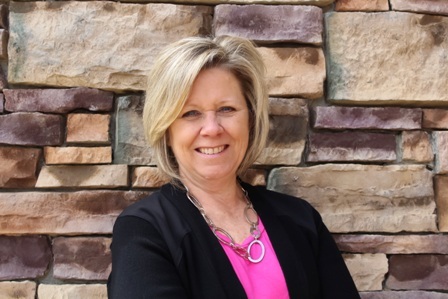 Susan Ring is a real estate professional with Berkshire Hathaway HomeServices Michigan Real Estate. Susan works with both buyers and sellers in the Greater Grand Rapids Area, including her home city of Rockford and also includes the Grand Rapids, Cascade, Ada, Belmont and surrounding areas. Whether looking for your first home or looking to upgrade, re-locate or to downsize, Susan is here to help. Susan has over 25+ years of experience in the real estate industry, including office management, working as a realtor assistant and sales. Susan prides herself on her excellent customer service and her attention to detail throughout your real estate experience. "Susan contacted me when she said she would and worked extremely hard to get our home sold in a very short amount of time!" "Our transaction was smooth and uneventful"
"Susan handled everything with ease and with a professional attitude!" "Susan Rocks, she is the best!" "When there was an issue, Susan worked diligently to find a resolution to the problem, while keeping our nerves at ease, we would recommend her to anyone looking to buy or sell!" and Find Your Home with Susan! Contact Susan for a Full Market Analysis. "Sue's expertise and ability to inform us on each phase of the home purchase helped to set me at ease as a first time home purchaser. I will absolutely refer anyone I know who is buying or selling to Sue."